CLASSIC „LIGHT BULB“ DESIGN WITH THE LATEST LED TECHNOLOGY – COG FILAMENT. Very high LED efficiency with up to 90% energy saving. 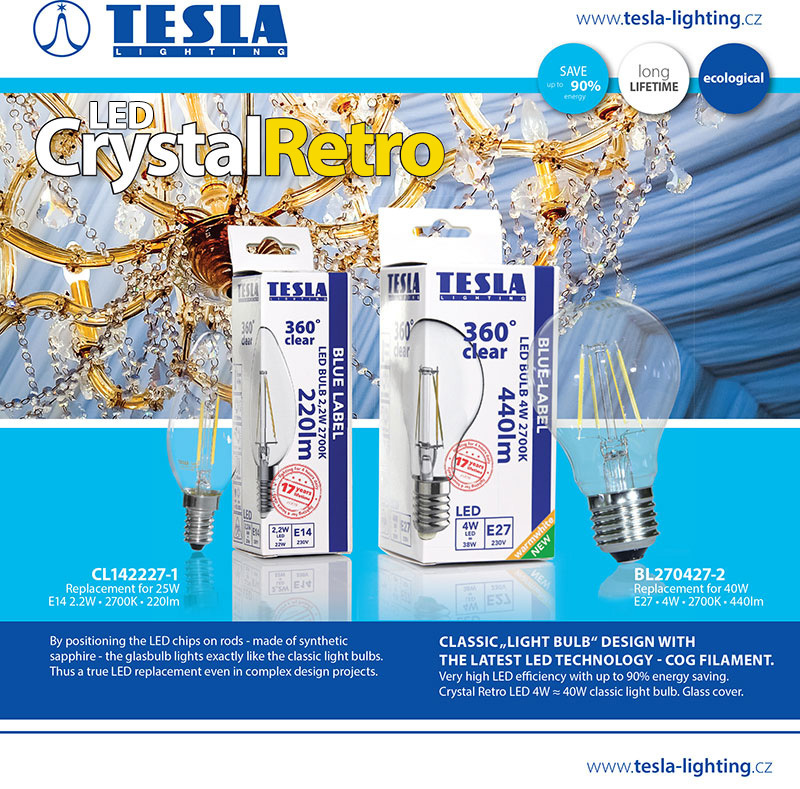 Crystal Retro LED 4W ≈ 40W classic light bulb. Glass cover.